From the rear side cover: Aged only 19, Fergus Fulton joined the R.A.S.C. and embarked for North Africa in November 1942 as part of Operation Torch where he was attached to 78th Division of the 1st Army. 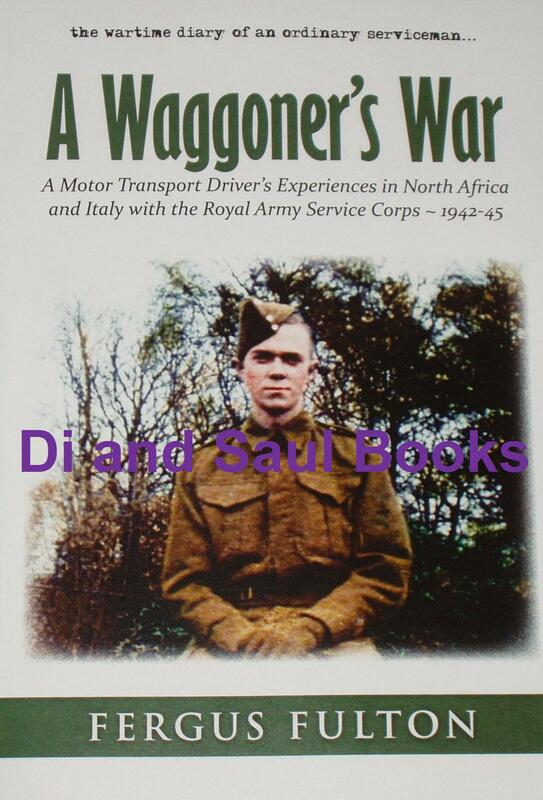 His travels took him from Algiers to Tunis and then, as part of the 8th Army, across to Sicily, which had recently been invaded, and then to mainland Italy where he continued his important truck driving duties and was witness to the devastation of Cassino, one of the bloodiest battles of this theatre of war. As the Germans retreated he continued to the River Po and then north into Austria as the conflict in Europe drew to its conclusion. This remarkable, unpretentious document of life in the R.A.S.C. is taken verbatim from Fergus Fulton’s diaries, which he meticulously maintained (strictly against orders), in a number of small notebooks. After the war he wrote them up in a single volume, put all the parts together and added relevant historical context to create a cohesive whole. He kept a detailed log of dates, places and incidents, and built up a journal of strange lands, colourful characters, fear, sadness, friendship and, of course, the soldier’s constant search for decent food, drink and a comfortable place to sleep.